As your pets age, it is the responsibility of pet parents to make routine adjustments to their diet and exercise and general health that will match the changes in their body and their immune system. It is important to remember that like humans, as your pet ages, their bodies change, particularly their immune system, which can make them prone to age related health problems. Fish oil for dogs, which contain EPA (eicosapentaenoic) and DHA (docosahexaenoic) acids. These two essential Omega-3 acids are produced in limited quantities in pets, especially dogs. A deficiency of fatty acids, such as Omega-3 and Omega-6 in dogs can lead to severe disorders, such as auto-immune disorders and atopic dermatitis as well as kidney and heart problems. Glucosamine with Chondroitin Sulfate, which is extremely beneficial for the anti-inflammatory effects provided. These types of supplements help pets with arthritis by providing the nutrients necessary to help repair damaged cartilage in joints. Feeding your pet healthy, high quality food will not only help them to feel better, but it will also help to reduce their susceptibility to diseases and illnesses. In many situations, adding human foods, such as oatmeal and carrots along with pet approved supplements, like fish oil, will help your pet meet their optimum nutritional requirements. In order to avoid stomach ailments and intestinal problems, it is extremely important to talk with your veterinarian before introducing any dietary changes to your senior pet. One of the most important things you can do for the health of your senior pet is to schedule routine visits with the veterinarian. 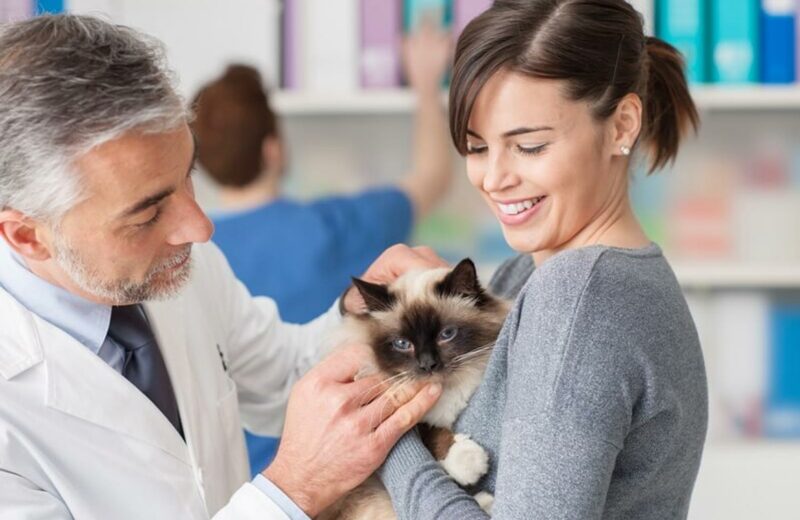 Routine visits will allow your pet’s veterinarian to improve the early diagnosis and treatment of issues that may impact the health of your pet. Age related diseases, such as arthritis, cognitive dysfunction and cardiac problems may have symptoms that are difficult to detect, but with routine visits, your veterinarian will have earlier access to the assessment of your pet, which can alert them of potentially serious illnesses. It is extremely important, especially in aging pets, that you do not alter their diet and/or exercise routine without first talking with your veterinarian. With early and proper treatment, your pet will have a good chance of living a healthier, happier life in their senior years. Senior pet families in and around the Indianapolis, IN area should contact the Binford Pet Wellness Clinic to make an appointment so we can talk about the best diet, exercise and treatment plan for your aging pet.